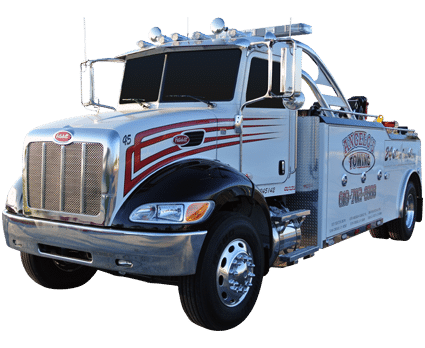 Angelo’s Towing currently has a fleet of over 100 heavy tow trucks that are available 24 hours a day and 7 days a week. All can be monitored by satellite and quickly dispatched throughout San Diego and its surrounding cities through our 24/7 dispatch center. The dispatch center is operated by a team of polite and courteous professionals who care about providing you with exceptional services. We provide our “no problem” services to hundreds of local and national accounts, including auto dealerships, body shops, insurance carriers, and private property owners. The world is not perfect and we understand that everyone has a mechanic problem with their car. We provide San Diego with elite and superior auto towing services. Here at Angelo’s Towing, we make sure you are taken care of a soon as possible. We provide services for thousands of customers and are proud to say that we are a AAA approved towing company. We have a 98% rate of customer satisfaction percentage! Remember, there is no job to small or too big for Angelo’s Towing. We have all the right tools and tow trucks to accomplish any towing or roadside assistance job in San Diego, CA. We understand your time is important and valuable. That is why all of our tow trucks are equipped GPS systems. Our GPS system will ensure that we send over our closest tow truck to your location. Call us for your vehicle towing and roadside assistance needs today!